You may notice that Jorja’s name is not listed. And yet I did just post photos of her on set! What does that mean? It means we’re back to special guest/recurring status for another season. Thankfully, we still have that email list I made up: CSI Watch. CSI Watch is an announcement only email list and I use it to send you reminders when episodes with Jorja are going to air. Any emails you send to the list are automatically deleted, so don’t worry about spam. anyway u have notice all seasons that has Billy, Marg,George, jorja , Eric, Warrick and Paul and hall. then changes until Jorja left season 8 there billy . marg etc,t then Warrick got killed late season then season opens w Billy and Marg , george ,eric, paul hodges, liz, until mid season break changes to Fishburne till season 10 now season 11 marg shall in right place that was Billys. Bring Jorja back full time I really miss see her on the show!!!! She filled Grissoms shoes and was on that show as long as William Peterson. Highly unlikely we’ll see Grissom this season. I actually agree with Ausiello when he said it’s about 92% that we won’t see him till the series finale. I was thinking he will be in this French film/ 2 parter and thats why they had Grissom in Paris last season. He mentioned it last year said he wanted Juliette Binoche to have a part. Agree but at least we might see him.Looks like the movie set in Paris may happen but it may only be a two part tv one. Given that the wife of the President of France may be in it and free accomodation Paris.Who is going to say “No” to that. I may get to see William Peterson Mis Fox and Marge Helgenberger and the CSI gang. Oh Mis M please make it happen.To go to Paris oh wow. Reports from France say that this was a whole mistake. The article was misquoting old articles without understanding them. So. No movie any time soon. I’ll be happy with every single minute, w’re going to see Jorja in season 11! If it’s going to be the same quantity as last season, i’m pretty sure, that most of the JF/CSI fans would be very lucky. To me, it would be realy ok, if the show ends with season 11. 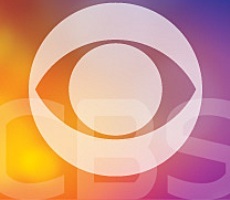 I don’t like it at all, if CBS (and others) are just going on and on and on with a show because it’s still a moneymachine and realy don’t care about the quality anymore! So, fingers crossed and keep up the hope. so sad that everything changed, hated grism leaving and warrick getting killed off, and sara comming and going, she is one of the best caring people on the show, and they think they made it a better show, i just don’t think so ,!